Benny’s enthusiasm lives! The hotel is gone but the casino is alive and kickin! Well Binion's Gambling Hall and Hotel Las Vegas is a hotel no longer and thus the room quality...well...it just doesn't exist. There aren't any rooms at Binion's Gaming and Dining Las Vegas but honestly, you aren't missing out on much. Even when there were Binion's Vegas Casino rooms available serious players would sleep next door and gamble at Binion's. That is, in fact, what Binion's Casino Downtown Las Vegas currently suggests in lieu of their non-hotel status: try a stay at the Four Queens right next door and enjoy all the old Vegas gambling you can handle at Binion's Gaming and Dining Las Vegas. If you like the old-time Vegas atmosphere, gangster history and all, this casino is the place to gamble. Just don't forget there aren't any rooms available at Binion's Gambling Hall and Hotel Las Vegas - and they don't like it when you catch a nap at the poker table, trust us. Binion's Gambling Hall and Hotel Las Vegas has blackjack, craps, poker, roulette, baccarat, Pai Gow and a few trendy varieties. There are lousy blackjack rules, but healthy 10x odds on craps. Recently, Binion's Casino Downtown Las Vegas has been luring in customers by strategically placing ladies with large breasts out in front dealing blackjack where passers-by can see them. 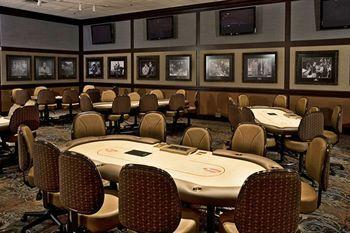 Blackjack is mostly $5 at Binion's Gambling Hall and Hotel Las Vegas, but you can sometimes find a seat at a $3 table. Craps is usually $5 (rarely $3). Let It Ride, Pai Gow are $5. Roulette's a $4 minimum with $1 chips. Mediocre video poker, normal slots, and apparently lots and lots of keno machines at Binion's Casino Downtown Las Vegas. Good cocktail service, unless it's crowded. 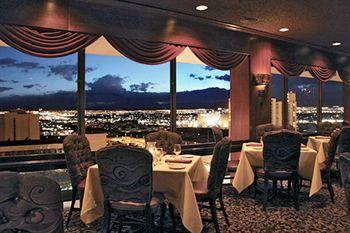 The club at Binion's Gambling Hall and Hotel Las Vegas is on par with other downtown properties. They will seek you out, though, if you put decent play on your card. Expect to see a few offers in the mail. Also, they will rate you at the tables even if you are only betting $5 a hand. Four televisions. One for you, one for a friend, and two for those scantily-clad ladies that came with you. 21 chairs, which is one fewer than needed to seat two football teams. Chairs have rollers, though, so you can still have a seated game of football (bring your own pigskin). All chairs have individual TVs, which is cool, especially considering there are only four shared ones. Five with video monitors behind them displaying the odds on games. Sure, if you're one of them high rollers who can afford to wager $20 on a bet. 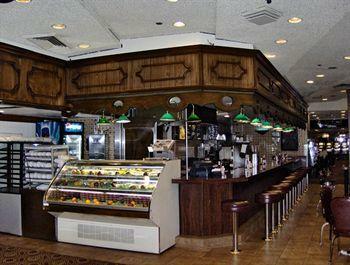 There is Benny's Bullpen right nearby, and that's where you are supposed to go for pizza and cocktails while watching sports. Ten in the surprisingly nice poker room. The tables are nothing special, but the room has been done up nicely. There are also 24 tables in a rundown area at the back of the Binion's Gambling Hall and Hotel Las Vegas property. These semi-hidden tables are only used for tournaments. The chairs are okay, as long as you're not a prima donna. 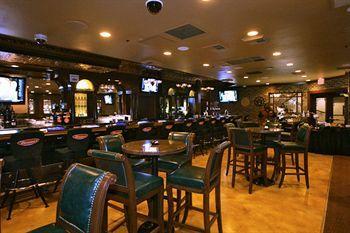 The room is located where the old sports book was and is quite nice and the tables and chairs are even better. The room is closed off and fairly quiet. It is also close to the rest of the casino. Hold-em $2-$4, $3-$6: Omaha occasionally. They have no-limit, and other high-limit games on busy nights. Nope, no lessons. At least, management couldn't remember any when we asked. It can get packed. 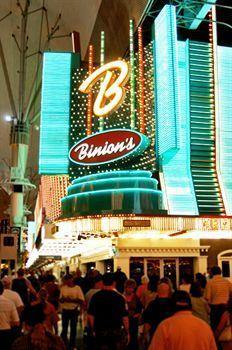 Binion's wants to be famous for poker, so some people want to play here. Weekdays and late at night you're more likely to find a spot easily. The typical wait is 20 minutes to an hour when the room is full. Free drinks while playing. Two bucks an hour while you play. That's pretty dang good. Fair to very good. This ain't a great game for beginners or timid players because there are much weaker games in town. The tournaments are usually 20% decent and 80% lousy, the low limit games are about average. The weekends bring a younger crowd hoping to pull off their best World Series of Poker impersonation, which can lead to easy money for experienced players. There are several daily hold 'em tournaments with a range of buy-ins. The max rake on no-limit games is $3, and that's swee-eeeet. Also, you can order food and have it delivered right to the poker room for a mid-game snack.